The CF380A HP black toner is compatible with the HP LaserJet Pro M476dn, M476dw and M476nw colour multifunction laser printers. The manufacturer states a service life of up to 2400 pages at a 5% coverage standard. The advantage of this original toner is its 100% compatibility with the products and a high-quality printing. 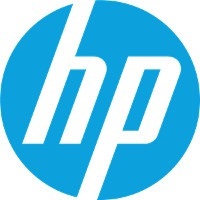 For shipping to other EU countries visit this page HP CF380A No. 312A. Für Versand nach Deutschland, besuchen Sie bitte HP Toner CF380A Nr. 312A Schwarz. Chcete doručit zboží do Česka? Prohlédněte si HP CF380A č. 312A černý. Chcete doručiť tovar na Slovensko? Prezrite si HP CF380A č. 312A. Magyarországra történő kiszállításért tekintse meg ezt a termékoldalt: HP CF380A nr. 312A fekete.